Rapper Kurupt is currently going through a divorce, splitting from his estranged wife Jovan Brown (aka Gail Gotti) after 10 years of marriage. They reportedly tied the knot in 2007 and called it quits in September 2017. She filed for divorce soon after. 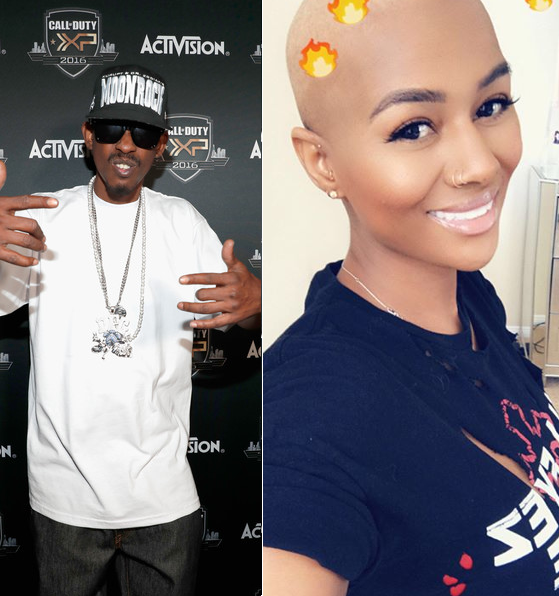 Last month, Jovan put the Dogg Pound rapper on BLAST with claims that he up and left her after she was diagnosed with terminal cancer. She said he refused to help her pay her medical bills that were piling up as she needed treatment to fight the disease, or any of her living expenses. Jovan filed to receive spousal support (she's gunning for $14,413/month) because she claims she was working hard behind-the-scenes, making sure his rap career was in order over 16 years. Not only that, she also claims her estranged husband took money out of their business accounts and made it so she couldn't access them. According to The Blast, Jovan claims she helped put together his deals, made sure his kids from other women were taken care of and booked his travel. However, Kurupt claims everything she's saying is a LIE. In recently filed legal documents, he said he has been separated from his estranged wife damn year 8 years and that they have been living apart ever since. He also pointed out that his estranged wife was even in a relationship with ex-NBA player Gary Payton from 2012 -2015. As far as managing his career, he said he was already established when they met and that she never managed his career. However, he did give her a job to support herself and kids. In the legal documents, he also said she withdrew money from his company account for her own personal use - $65,000 to be exact - without telling him. He claims she owes him at LEAST $175,000. Miss me with that bullsh*t..
Is this a subliminal, or nah? Yeezy Season 6 model Shannade Clermont, one half of the Clermont Twins, was arrested on three federal charges a few days ago involving her stealing a victim's debut card who had overdosed after their "date." She charged him $400 for her "services", according to the text messages where they discussed her prostitute prices, and it seems to have been the Trojan horse for her to get to his bank account. Well, the judge isn't trying to hear NONE of that. As expected, the judge denied her request and with good reason. If he gave her access to her passport, she could easily hop a flight out of the country to avoid prosecution. Per Clermont’s conditions of release on bail, she’s allowed to travel to Georgia, California and throughout New York. Unfortunately, the judge did not care that her criminal case had upset her travel plans, and recommended finding another way of obtaining ID rather than getting her passport back. Nice try, but she should have known (or at least her lawyer should have) that ish wasn't going to fly. Pun intended.